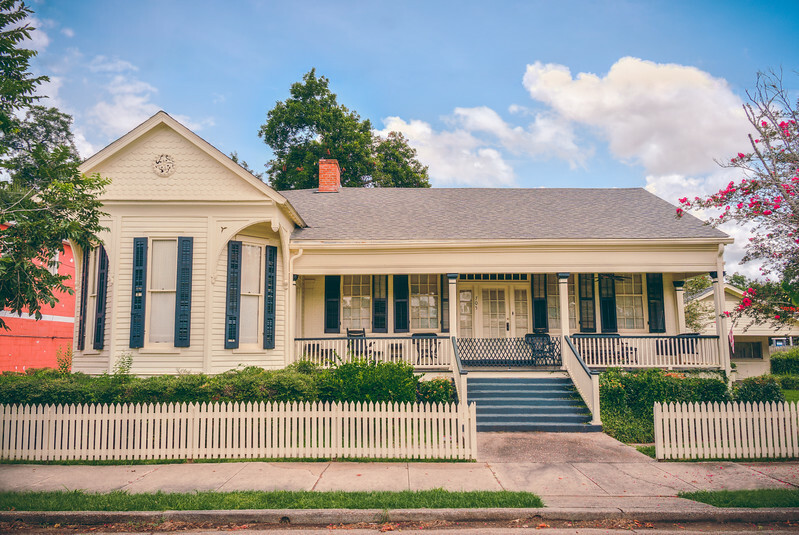 I really liked this housein Port Gibson, it gave me the feel of the old family television shows where everyone had a white picket fence and also becaue I love old homes and even live in one myself. 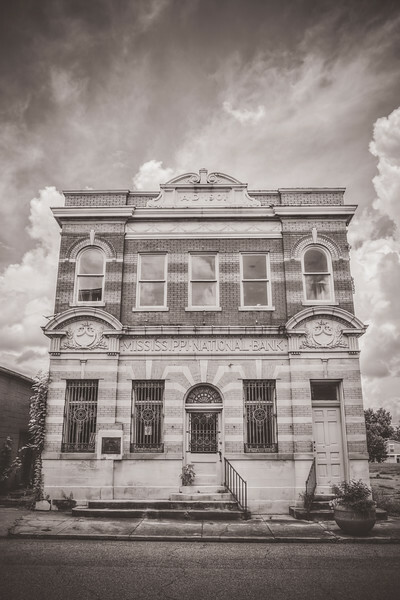 This is the old "Mississippi National Bank" in Port Gibson. I ran across this awesome building while walking around the downtown area. 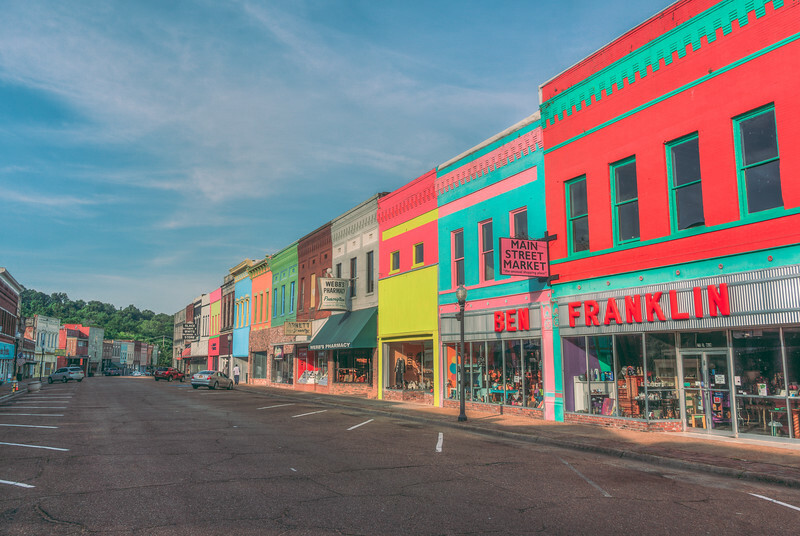 I love these old buildings and the character that they have and Port Gibson has a lot of these. I love the added drama of the black and white edit. Sometimes I go through phases of editing in black and white, although that is not a reflection of a negative mood, I just love black and white photos. 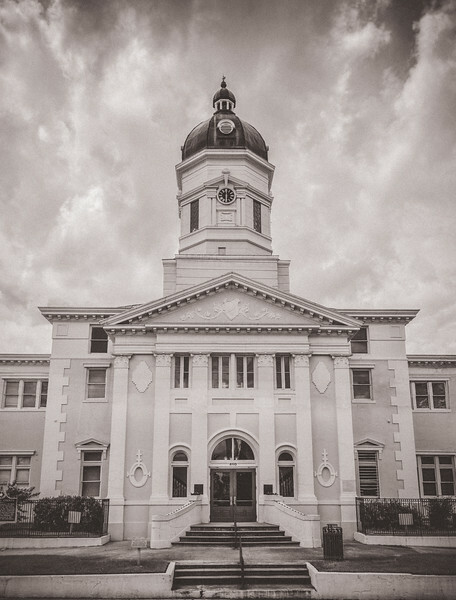 This is the Claiborne County courthouse in Port Gibson with a beautiful clock tower. I love photographing the different courthouses around the state. I enjoy the different variations in the architecture, especially the older ones (which most of them are). I had to take out ALOT of powerlines in this photo which is becoming a common theme in my photos of buildings. 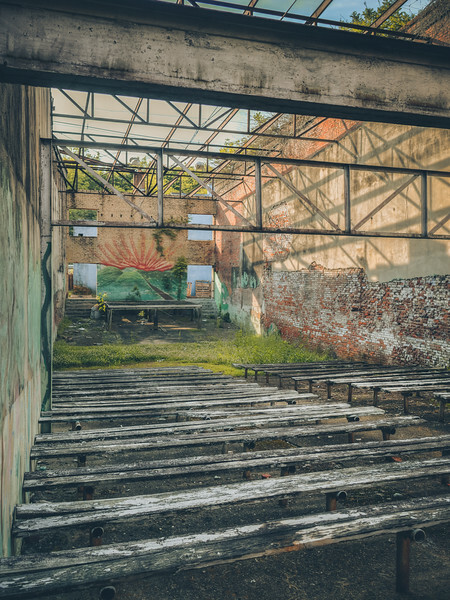 I found this old theater while walking around downtown Port Gibson. 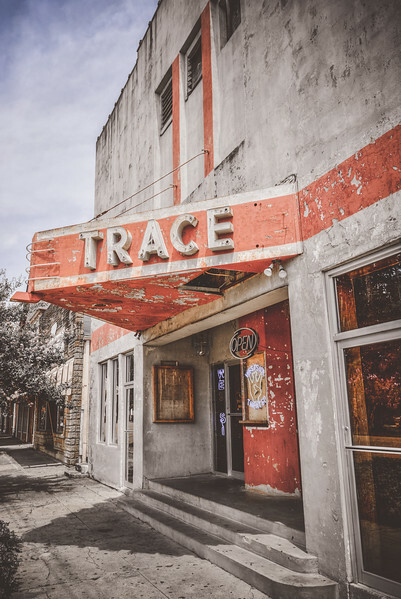 I love seeing these old buildings, especially theaters, that still have the original sign to go along with some peeling paint and signs of wear and tear that create some awesome textures. Here is as much of Windsor Ruins as I could fit in my lens. I've seen many photos of the ruins but never a full photo of it, and now I understand why. It's hard to fit it all in, both because of how big it is and also because there are trees blocking wider shots in front of it and behind. So here is my best effort. 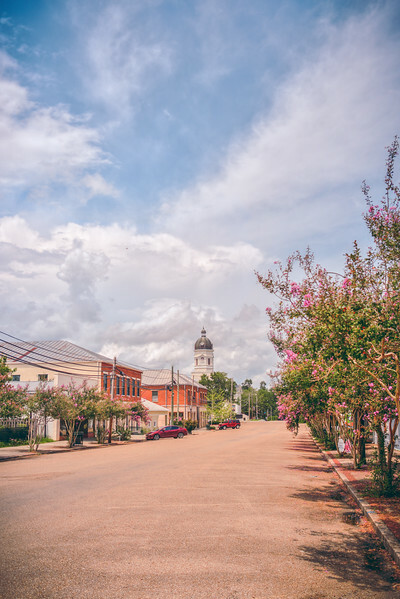 One of the towns I've been wanting to visit for a while is Port Gibson, which is just up Hwy. 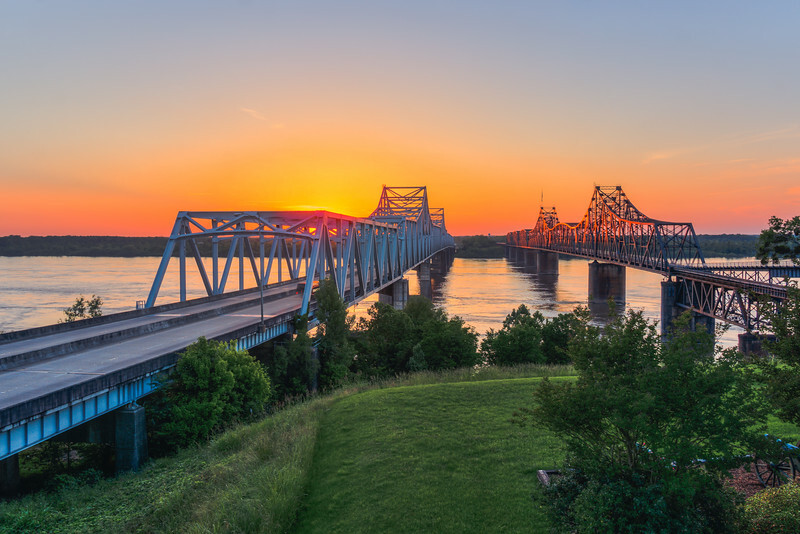 61 from Natchez. We stopped there on our way home from Natchez and spent a couple of hours there walking around and photographing the downtown area. One of the things that kept standing out when looking down the main downtown street was the courthouse tower, so I wanted to capture that. Unfortunately, as is the case in most places I visit, power lines were EVERYWHERE! I love electricity, don't get me wrong, but I hate power lines, because they ruin the asthetic of historic small towns. The good thing about digital photography is that they can be removed, although it can be quite tedious at times. I felt it was worth it to remove them here to rid the photo of the distraction. 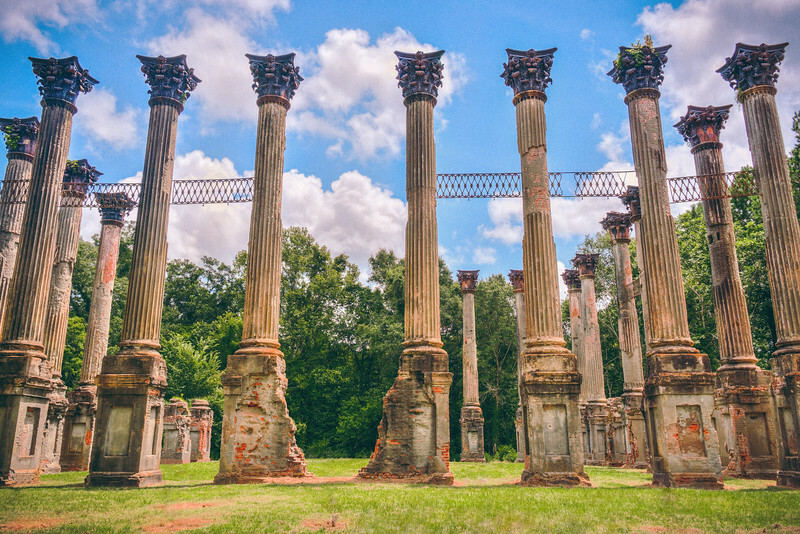 Here is my first photo to post from Windsor Ruins, a fairly well known site in Mississippi, which is the columns that still remain from a gigantic mansion that burned. It was said that there was a viewing area in the top of the manstion where you could view the Mississippi River. 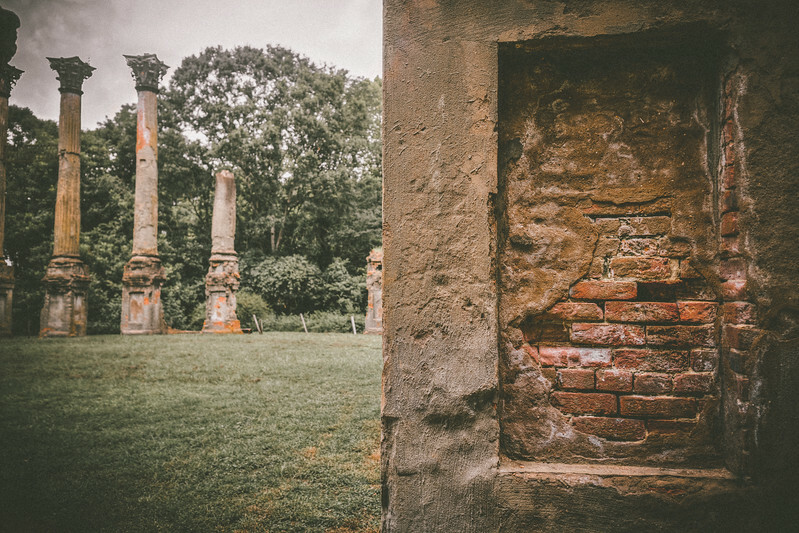 Windsor Ruins is another hauntingly beautiful and mysterious place. 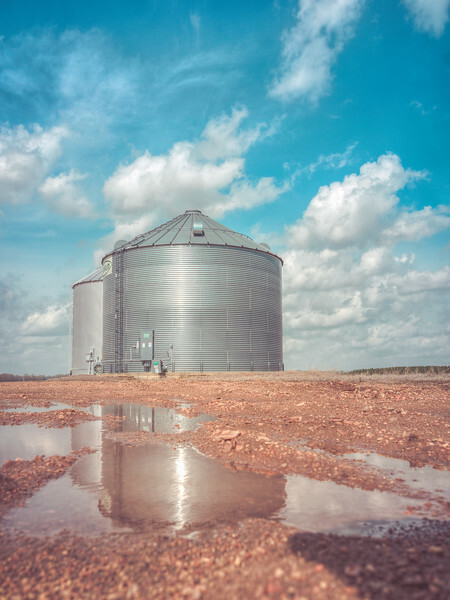 It is in the middle of nowhere not far from Alcorn State University (which we also visited). The columns are still beautiful even in their decayed state. I've seen plenty of pictures from Windsor but wanted to offer a different take with an upclose look at the brick and the textures that are on these columns, sort of contributing in my editing to the ancient look.